Here's a glittery tile I made a while ago. It's done with a white (broad) and a silver uni-ball Signo white pen, plus a silver Sakura jelly roll (which I love love love). 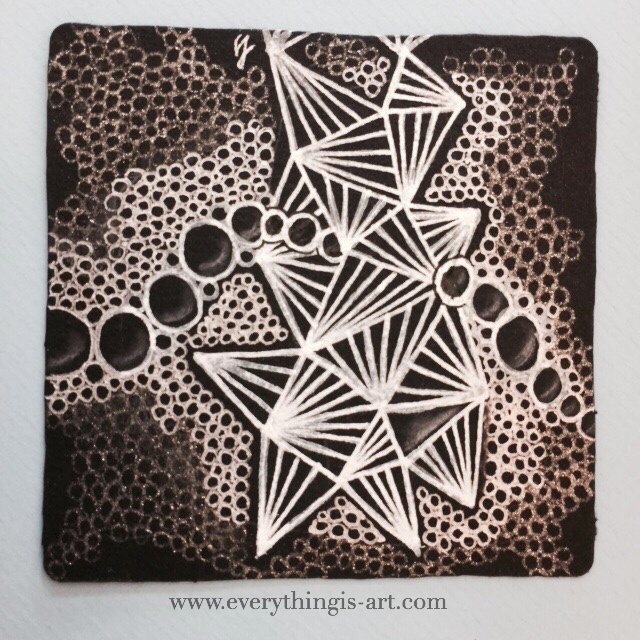 I'll be posting more Zentangle tiles in the coming days, so watch this space!